Every November, as darkness sweeps the globe, thousands of people from over 50 cities will pull on their running shoes and hit the streets to Run in the Dark. Join us in Cape Town to Run in the Dark on the 14th November 2018 and support our ongoing research to find a cure for paralysis in our lifetime. 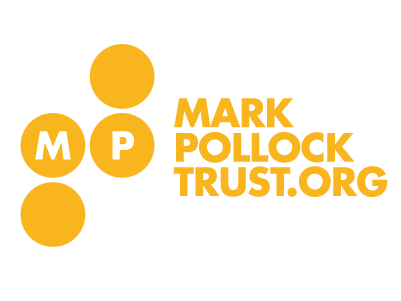 Your voluntary donation to enter the run will play a big part in helping the Mark Pollock Trust to reach its R8,300,000 fundraising aim. Every donation, every step, every study, moves us towards a cure for paralysis and enabling people to walk again. As Run in the Dark Cape Town is an offline event, please get in contact when the city champion as detailed below if you are interested in joining the run. This year’s pop-up run will be championed by Mark Baldwin. The cost of entering this pop-up event is a voluntary donation of your choosing. Please contact the champion for info regarding donations. Please make sure to arrive at 6.45pm so that we can take our group picture with all participants in advance of the run. Note that we have no facilities to store bags, so please only bring what you can carry on your walk/run. Note that we have no water stop facilities, so please carry your own drinking bottles to keep you going during the walk/run. If you take photos of the event, please share them on our Facebook page http://www.facebook.com/runinthedarkofficial or tag us in your post. For any queries relating to this event please feel free to contact Mark Baldwin via email (baldwin@mweb.co.za). The start and finish line will be located at the boardwalk by The Galley Restaurant at Fish Hoek beach. There is ample parking in the beach car park. 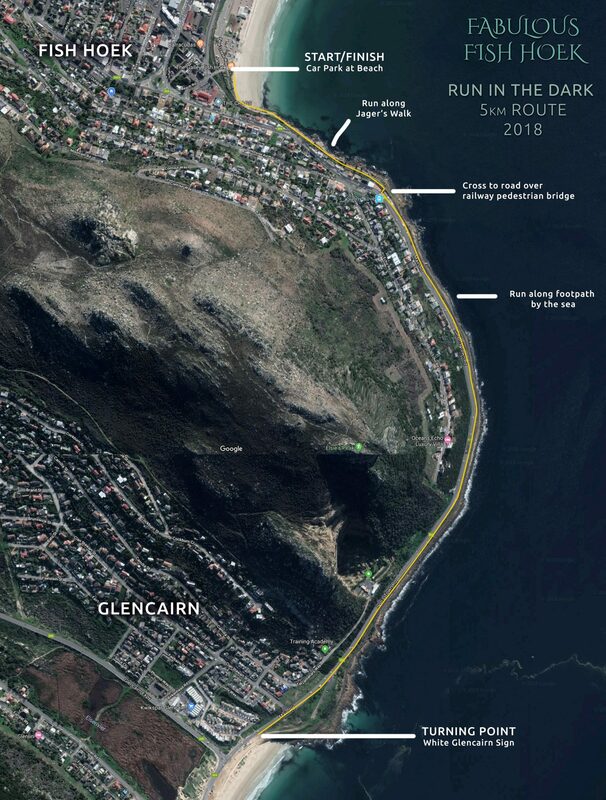 Starting at The Galley Restaurant, the course continues along Jager’s Walk, over the pedestrian railway bridge at Sunny Cove station and along the pavement to Glencairn and back. N.B The turning point is the small white ‘GLENCAIRN’ sign on the left hand side of the road. There will be volunteers posted at certain sections of the course as guides/for security.